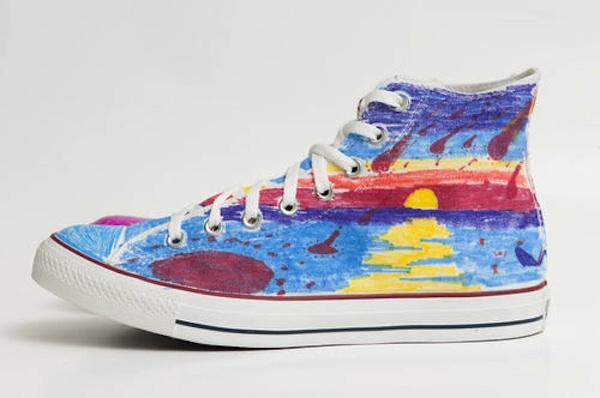 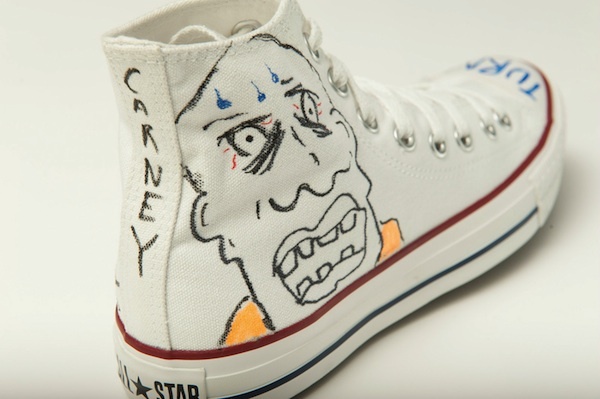 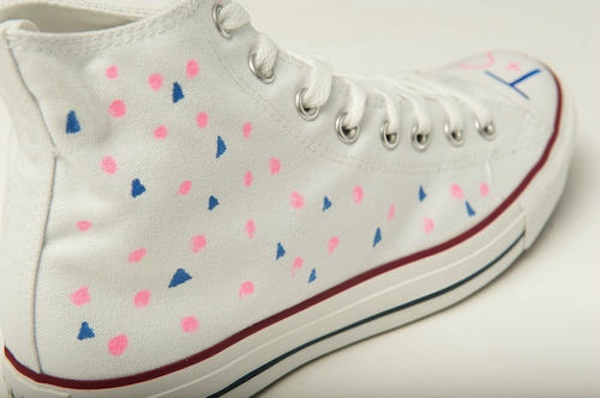 To help raise money for the National Breast Cancer Foundation and other charities, more than 60 musicians have custom-designed Converse shoes and put them up for sale on eBay. 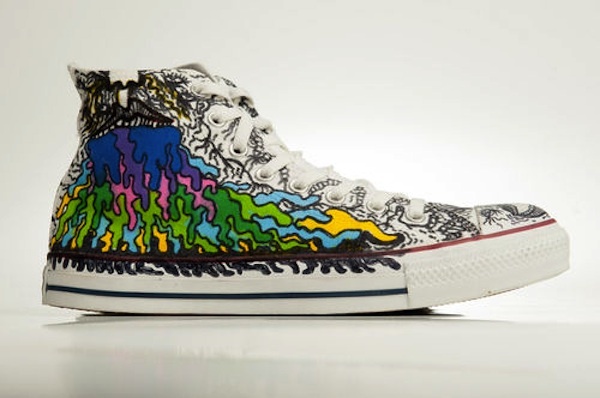 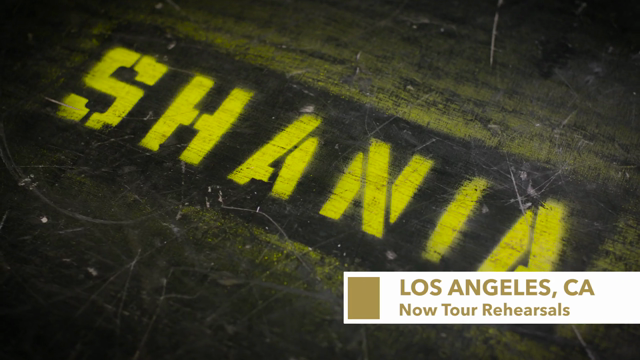 The charitable campaign, dubbed In Their Shoes, runs through October 29th and features the artistic talents of Bon Iver, The National, Red Hot Chili Peppers, The Black Keys, Charli XCX, New Order, Wavves (above), Moby, and many, many more. 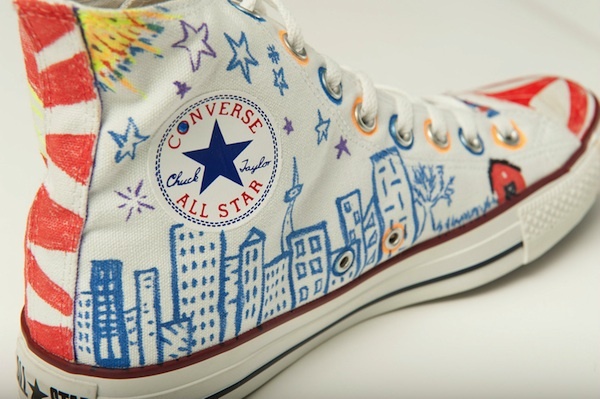 If you were looking to mix in good deeds with fashion and music, here’s your chance!